Some investors forget that successful property investment involves more than just superior property selection and location. It also involves finding and keeping good tenants over the long-term. And that’s where professional property management comes in. A percentage of investors – in a bid to “save money” – try to manage their properties themselves and often come unstuck during the process. 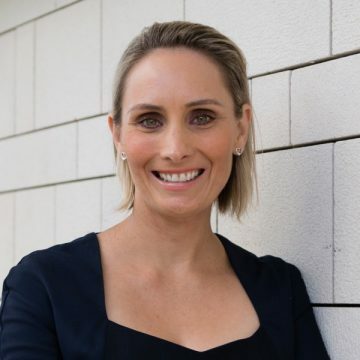 “If you manage it yourself, you build a relationship or rapport with the tenant,” Kelly Eastwood, Property Management Team Leader at Fall Real Estate in Hobart, says. Fall Real Estate is an agency that works with Propertyology when clients invest in properties in Hobart and are looking for professional property management services. Kelly has been working with the team for more than three years now after undergoing an in-depth interview with Propertyology managing director Simon Pressley. “It was a long interview. They were working out who they wanted to refer their business to. They needed to feel comfortable because it’s their reputation as well,” she says. 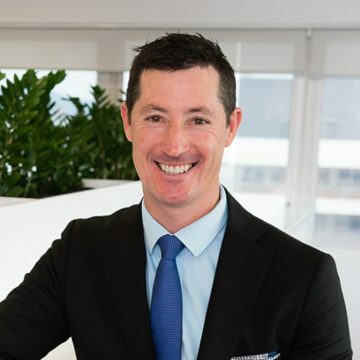 Gerard McConkey, Property Manager and Owner of Living Here in the inner-Brisbane suburb of Wilston has been in the real estate sector for more than 15 years and now concentrates solely on property management. During the years, he says, he’s come across his fair share of private landlords who’ve got out of their depth. “Everything is really good until it’s not and from then on that’s when you need the experts,” he says. “There is also that balance of experience that we bring to the party that a lot of owners who try to self-manage think they know it until they finally realise that they’re out of their depth. 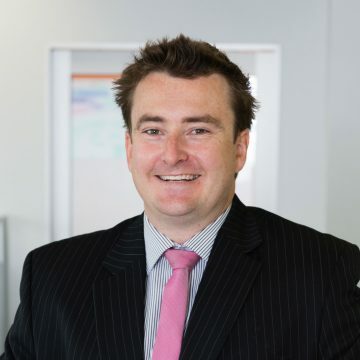 Gerard has been working with Propertyology for 10 years and has developed a strong partnership with the firm over their many years of working together. He says Propertyology clients are always well-educated about the benefits of property management and are responsive to recommendations about their properties. “The experience that we’ve had with Propertyology over such a long time, they know that we do a good job. They can confidently refer us, knowing that we’re going to back up what they say we’re going to do,” Gerard says. One of the secrets to successful property investment is professional property management that helps investors to sleep easy at night. Gerard says property management should be an unemotional business transaction, but many private landlords struggle to understand that. “Their investment needs to be a business transaction. They don’t need to be sitting there nursing it every day because they have more important things to do,” he says. “They make their money in other areas. A good property manager means they can relax and know that the property is being taken care of and it’s meeting the target that it needs to meet as an investment for them. Some investors also don’t understand that property management can be a 24-hour a day job, he says, it doesn’t matter whether it’s 11am or 11pm, if a tenant has an emergency it needs to be dealt with professionally and efficiently. The world of property management is also heavily legislated with regular amendments that need to be thoroughly understood. “We’ve been there and done it time and time and time again. We’ve seen the mistakes that people have made. We’ve made mistakes ourselves and learned from them. It’s a situation where we bring that knowledge to their benefit.